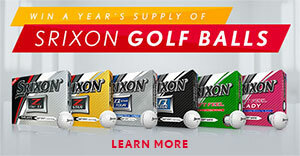 Srixon Sports USA, Inc. ("Srixon") takes your privacy concerns seriously and does not collect personally identifying information about you when you visit this website ("Site"), unless you choose to provide such information to us. This means that you can visit the Site without telling us who you are or revealing any information about yourself. As explained more fully below, when you choose to provide Srixon with information about yourself when using the Site, Srixon uses that information solely for the stated purpose for which it invited you to submit such information.